With PUBLICATION DAY less than two weeks away it’s all go! 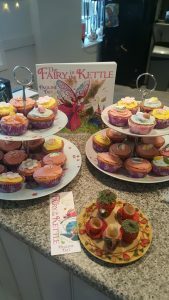 The Fairy in The Kettle Gets Magical is out on 7th May and I am busily getting as much writing done as I can before my first event on the 8th. May and June are going to be extremely busy with Waterstones, school and library events but I am looking forward to them and to introducing the third book in this series. All bookshop events are listed on my events page and the book is currently available to pre-order from all good books shops worldwide, links to Waterstones, Barnes & Noble, Amazon and Kindle version are available here. …was the title for an article in The Perthshire Advertiser on Tuesday 23rd April. It’s a lovely article and shows off the county of Perthshire beautifully. 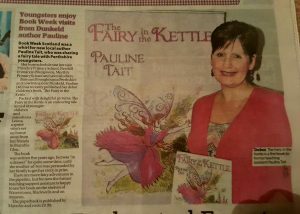 Follow this link if you would like a glimpse into my writing life and how the local countryside has inspired me to write and bring The Fairy in the Kettle series to life. As another World Book Day passes us by it’s been great to see so many children, parents and schools embracing the world of books. 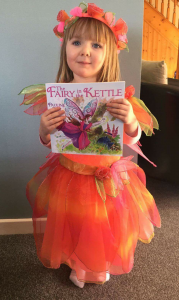 I would like to give a huge thank you to the parents who contacted me through my website and social media pages with pictures and stories of their children dressing up as Leona from The Fairy in the Kettle series…lovely to see some kettles finishing off the costumes nicely too! 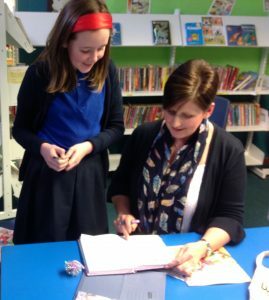 It’s been a busy week for authors with many carrying out school visits and bringing the world of their books to children across the country. 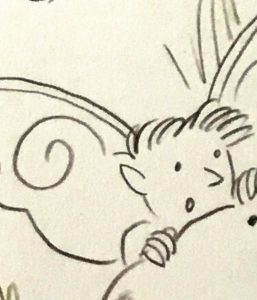 I also had some exciting news to share on the day as the cover was revealed for my latest picture book, The Fairy in the Kettle Gets Magical. Once again Debbie Bellaby has done an amazing job of bringing my story to life with her wonderful illustrations and I am looking forward to sharing some of those with you soon. When Leona was woken early one morning, she knew something had to be wrong. But as she rushed to meet the elders nothing could prepare her for what she was about to hear. Life in Fairy Glen was about to change…the word’s fairy dust were echoing in the air! 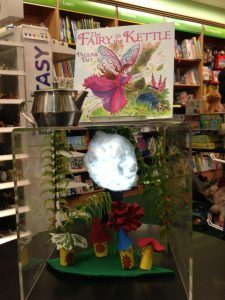 The Fairy in the Kettle Gets Magical will be published on 7th May. It is already available to pre-order from Waterstones and will also be available to pre-order from Amazon and Barnes and Noble in the not too distant future. Watch this space for a list of upcoming Waterstones events as I will be sharing those dates with you very soon. Watch this space – Things are about to get magical! Pictures can’t do this event justice! 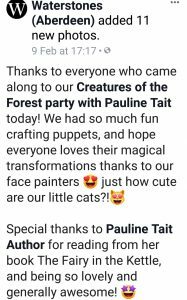 We had a great time on Saturday as Waterstones in Aberdeen celebrated mid term with a Creatures of the Forest Party. 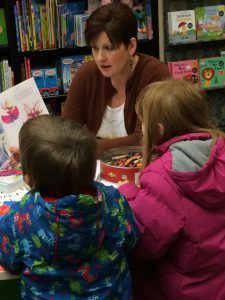 I was invited along to read my book, The Fairy in the Kettle, and join in the crafty fun. 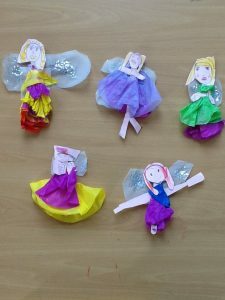 We made our own fairies, a huge hit with the children, and finger puppets as well as the usual fairy colouring and wing decorating. 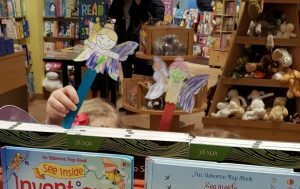 Little fairy fans had their faces painted and some even put on an impromptu fairy puppet show. This was an lovely morning enjoyed by all. Unfortunately, we sold out of books so there were some disappointed fairy fans but orders were placed online so hopefully the books will be with you soon. 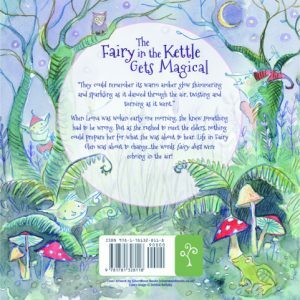 Its full steam ahead planning for the release of The Fairy in the Kettle Gets Magical in May. I just love the cover and am looking forward to sharing it with you in the not so distant future. Its all quiet again with events for a little while but that is to allow myself writing time. 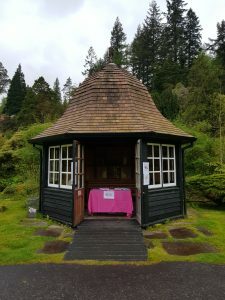 However, the diary is filling up for May and June and I am looking forward to returning to Waterstones stores and will be the visiting author at Benmore Botanical Garden again for their Open Day…for the third year running. 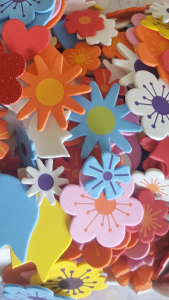 I will keep you up to date with the publication on here and my social media pages as we get closer to the publication date…which i will reveal soon! 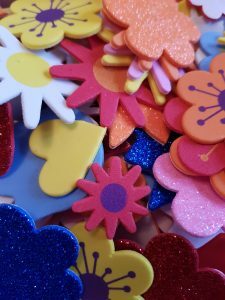 Happy New Year and welcome to my first blog post of 2019. 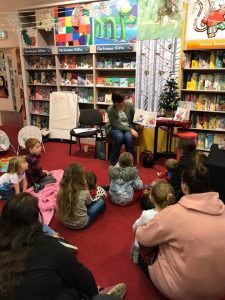 It was a busy end to 2018 with book shop events, festivals and school visits promoting my latest picture book, The Fairy in the Kettle’s Christmas Wish. As always it is great to be able to go into schools to read to and chat with pupils about reading and writing and to listen as they share their own writing experiences and questions. 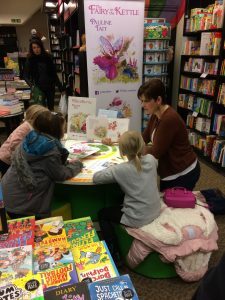 I was also extremely lucky to share my books with fairy fans at various Waterstones events and their support is something I am extremely grateful for. Unfortunately the snow put a stop to the planned Oban event but hopefully I will be across in the coming months with my next book. It was also wonderful to see returning fairy fans from previous rounds of events. 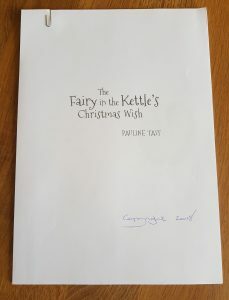 The start of 2019 is all about finishing pieces of writing while at the same time working on the production of the third book in the Fairy in the Kettle series, The Fairy in the Kettle Gets Magical. 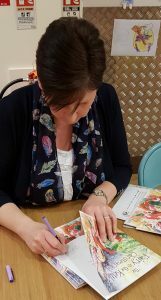 The illustrations (once again by the brilliant Debbie Bellaby) are with the publishers and they are currently working their magic while the font is added to the front and rear covers. The next step is to lay the illustrations and text out for each page. 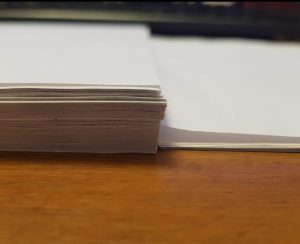 This is one of my favourite parts of the production process and anyone who knows me or my books will know my aim is always to have each page as visually exciting as possible. Both the publication and cover reveal dates will be announced here on my website and on my social media pages…they are not too far away! There is other book news to share too…but not quite yet. Another project I have been working on will be announced later in the year and is something quite different. Meanwhile happy reading and as always upcoming events will be posted here and on my Facebook, Twittter and Instagram pages. 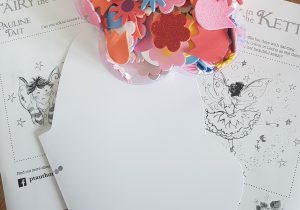 I love this stage, when Debbie Bellaby has completed the internal illustrations for my next book and is just about to add the colour! She has, yet again, managed to bring my story to life just as I had imagined while writing. After I signed off on her rough illustrations she set to work on the final drawings. Earlier this week I signed off on those too, and now I look forward to seeing them fully brought to life with colour. Debbie has already completed the front and rear covers and they are safely with the publishers. In the past I have known how I wanted the front covers to look but with this book, the third in this series, it was a struggle and I had no real image in mind. In my brief given to Debbie, I left it up to her; knowing I could trust her artistic talents and I am delighted that she has captured the essence of the story, both beautifully and simply. 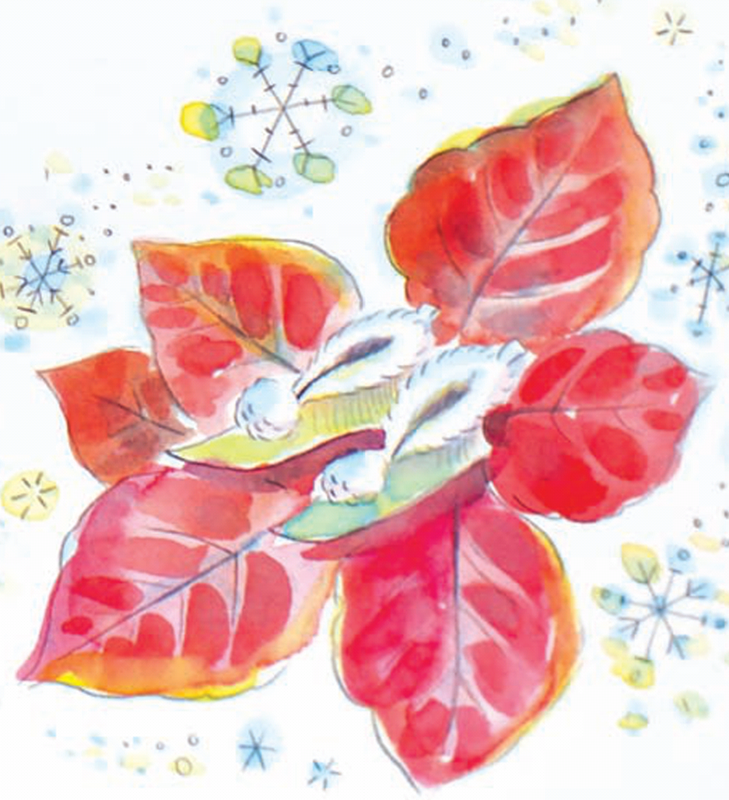 It is a joy to see my stories coming to life through Debbie’s fantastic illustrations and I am looking forward to working on the production of this book in the New Year with both Debbie and the amazing team at SilverWood Books. It was a pleasure to return to Stanley Primary, this time to read The Fairy in the Kettle’s Christmas Wish. 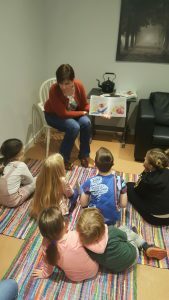 After reading to nursery and lower primary pupils and chatting to them about writing and the characters in my stories I read to pupils from the upper primary classes and answered their brilliant questions about writing. It was great to hear their enthusiasm when they spoke about their own writing. A lovely afternoon! 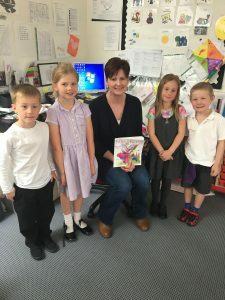 I was thrilled to return to Blair Atholl Primary School to read my latest picture book to Nursery & P1-3 pupils before chatting and answering questions from P4-7 pupils about being an author. The pupils were given 30 seconds to discuss with a shoulder partner what questions they would like to ask. Their questions were inspiring and we discussed everything from writing/planning, finding an illustrator/publisher, typesetting and page layout, marketing and events. A lovely way to spend the morning! 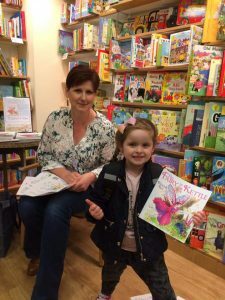 I was delighted to return to Waterstones in Princes Street to read my latest picture book. 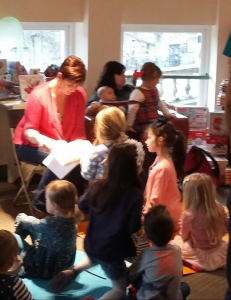 Events here are always fun and it was lovely to read my Christmas story in front of their lovely Christmas tree. Very festive for the fairy fans who came along to enjoy the story. 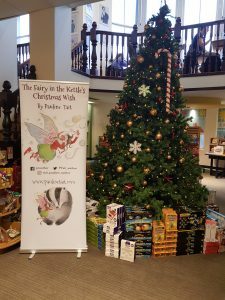 It was lovely to return to the Central Library to read my latest book, The Fairy in the Kettle’s Christmas Wish. 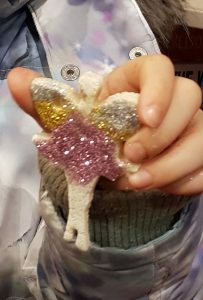 The children’s section of the library is brilliant for these events and the children enjoyed wing decorating after the reading before returning to the reading room to tell me about their wings and the fairies they had designed them for, magical! The front and rear covers have now been completed and are with the publishers. Next steps, front cover font and rear cover blurb. Once again Debbie Bellaby’s illustrations are amazing and are bringing the next installment of Leona’s adventures to life. I can’t wait to share these with you in the coming weeks. This was a perfect end to Book Week Scotland. I read my latest book, The Fairy in the Kettle’s Christmas Wish to the delicious smells of home baking and freshly brewed coffee. There were the usual fairy crafts afterwards but Karen, the owner of this lovely cafe, had fairy cakes and juice for every little fairy fan attending. I was delighted to return again this year for the Children’s Christmas Bonanza. 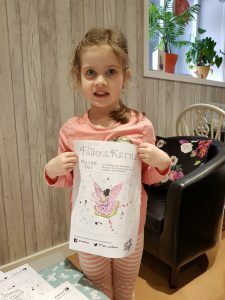 I read The Fairy in the Kettle’s Christmas Wish which was, as always, followed by fairy colouring and crafts. I loved their Christmas display too…can you spot my two little fairies? 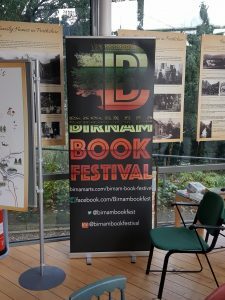 I was delighted to be part of the brand new Birnam Book Festival! 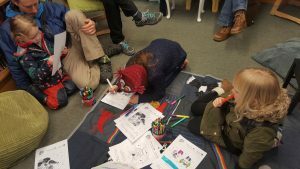 In Potter’s Junction at Birnam Arts, I read The Fairy in the Kettle’s Christmas Wish to little fairy fans who also enjoyed fairy colouring and crafts afterwards. A lovely event in lovely surroundings. 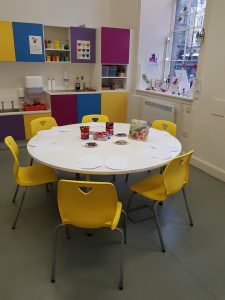 Continuing with Book Week Scotland this was an event with a difference, reading to zero to five year olds. 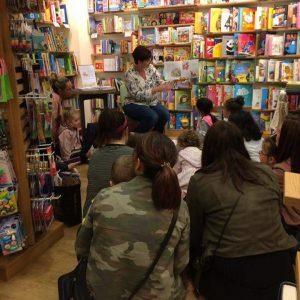 It’s never too early to introduce children to the world of storytelling and books! 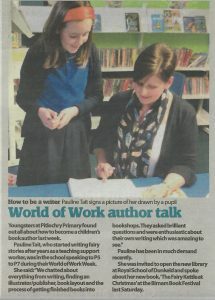 I was asked along to Pitlochry Primary school to speak to primaries 5 – 7 about their World of Work Week. 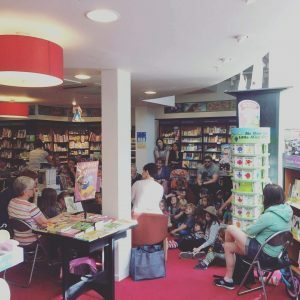 It was a pleasure to answer their many fabulous questions on writing/structuring a story, finding a publisher/illustrator, and life as an author. 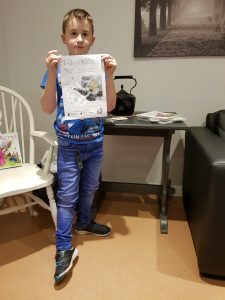 There were definitely some budding authors and illustrators of the future there and one little artist drew me at the event and then asked if I would mind signing myself…which was a first! 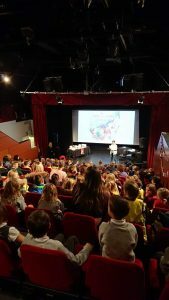 I was at The Eastgate Theatre in Peebles for the Read-A-Licious Festival which ran in conjunction with Book Week Scotland. This was a really lovely event in a lovely theater. Primary 2-4 pupils from surrounding schools came along to hear The Fairy in the Kettle’s Christmas Wish and ask lots of great questions on writing/structuring a story, working with and finding an illustrator/publisher, how books eventually end up on book shelves and the working life of an author. A huge thank you to Alex and her team. A busy Saturday ended with another fab event in Braehead. It was great to see so many old and new fans come along to hear my story and join in the fun. As always the wing decorating went down a treat. 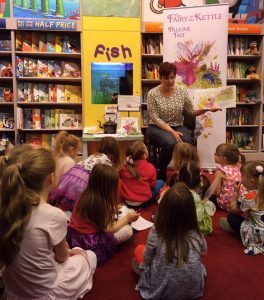 I had an early kick-start to Book Week Scotland with an event in Waterstones Stirling. 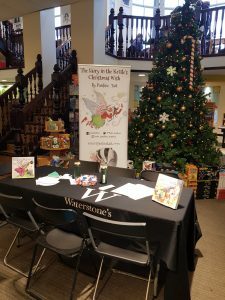 It was great to be back, but this time with The Fairy in the Kettle’s Christmas Wish, and great to see so many fairy fans come along and join in the fun. 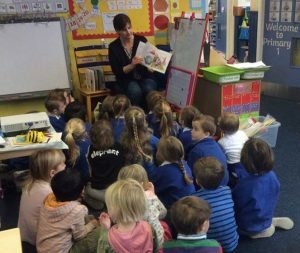 It was lovely to be back amongst old friends at RSD, and reading my latest picture book to Nursery and Primary 1 was a pleasure. 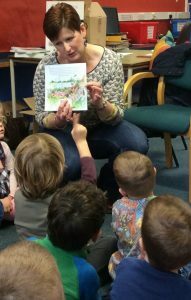 This was a school visit with a difference though as I also officially opened their new Early Years Library! It was great to see such young children so excited about their new space and the vast array of books they had to choose from. The hot air balloons decorated with the children’s favourite book covers fitted in perfectly and it was lovely to spot a couple with The Fairy in the Kettle covers. It’s been a strange couple of weeks, to say the least, with not much writing done. I have, however, been busy with other fun book stuff. 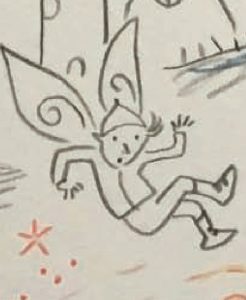 Debbie sent through her latest sketches for The Fairy in The Kettle Gets Magical (out 2019) and it has been great revisiting the manuscript. I loved writing this book and the illustrations for this are, as usual, going to be vibrant and fun. Lovely reviews have also come though for The Fairy in the Kettle’s Christmas Wish via Netgalley and Goodreads. These reviews can be viewed either on their sites or my reviews page for this book. 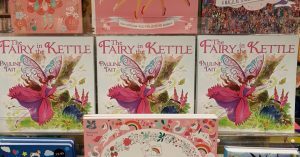 25th July 2018 – It was lovely to be back in Braehead reading The Fairy in the Kettle. 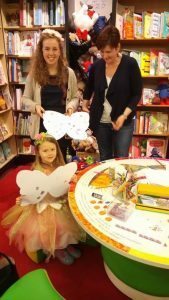 Thank you to everyone who came along to join in the fun and to Jasmine who kindly gave me her beautifully decorated wings to look after. 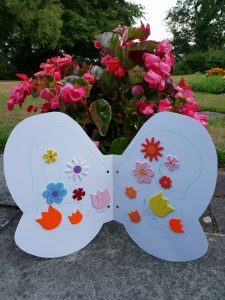 28th July 2018 – Thank you for having me back to read The Fairy In The Kettle, as always it was lots fun with Fairy colouring and wing decorating. 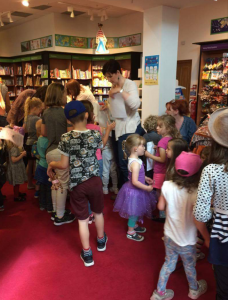 Was lovely to see so many Fairy fans. 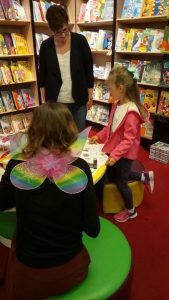 21st July 2018 – I was delighted to return to the Oban store as part of their Fairies and Unicorns Day. 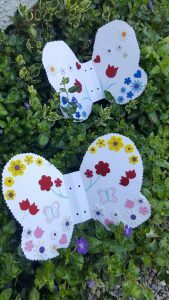 How gorgeous are these Fairy wings, designed by one of the little Fairy fans who came along. Also a huge happy 5th birthday to Charlotte who came to spend the morning of her birthday with us. 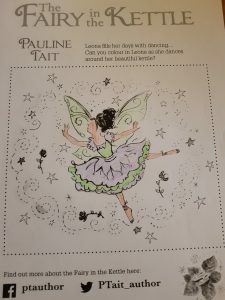 14th July 2018 – I was delighted to return to read The Fairy in the Kettle to fairy fans who came along to hear the story and enjoy the fairy colouring and wing decorating afterwards. 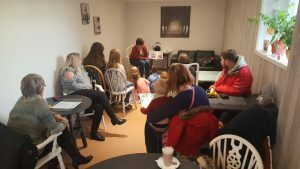 12th July 2018 – It can’t get any more magical than reading The Fairy in the Kettle in a Magical Forest and that’s exactly what we did in Braehead! 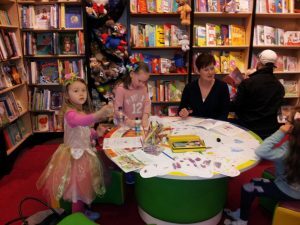 Lots of fairy fans came to enjoy The Fairy in the Kettle and joined in with fairy colouring and wing decorating. The Fairy In The Kettle’s Christmas Wish – COVER REVEAL! 1st July 2018 – Available WORLDWIDE to pre-order from all good bookshops and Amazon. Publication date August 24th, 2018. 4th June 2018 – The Fairy In The Kettle’s Christmas Wish – COVER REVEAL coming July 1st, 2018. Publication date August 24th, 2018. 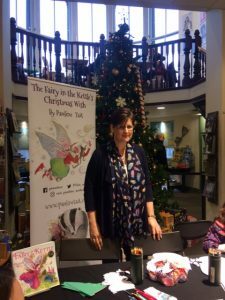 31st May 2018 – I am absolutely delighted to have signed the paperwork for the third book in The Fairy In The Kettle series today! Out in 2019. 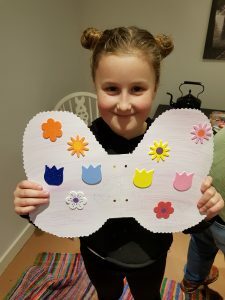 29th May 2018 – I was asked along to speak to a local Brownie group as part of their “Oh no, Brown Owl is Four-0” badge. They had to speak to an author and ask questions as part of their badge and they did so brilliantly. I was asked about everything from writing to finding an illustrator to getting published. As always the Fairy colouring and wing decorating at the end of the session went down a treat. 20th May 2018 – Once again this was a great event in stunning surroundings. 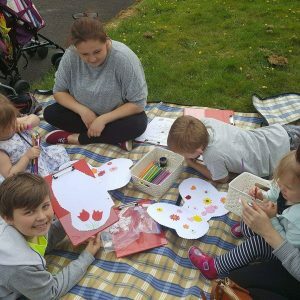 After reading The Fairy In The Kettle in the magical Puck’s Hut the children enjoyed wing decorating and Fairy colouring. 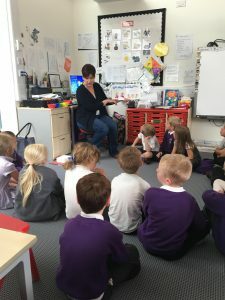 18th April 2018 – I was lucky enough to spend the day with the P1, 2 and 3 pupils of Juniper Green Primary School. It was inspiring to hear the pupils talk so enthusiastically about their writing and answer their many amazing questions. They told me about their stories and strategies for writing and I am sure I met some future authors. Thank you for asking me along to spend the day with you. 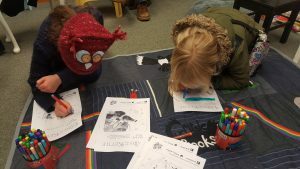 14th April 2018 – There was a great turnout for the event at Edinburgh Central Library! 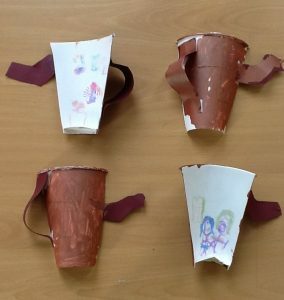 After reading The Fairy In The Kettle there were plenty arts and crafts to choose from as the children enjoyed making and naming their own Fairies. 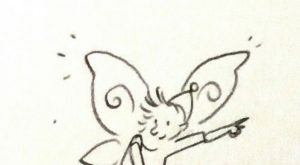 There was of course the usual fairy colouring with a pair of wings to take away and decorate at home. 21st March 2018 – I visited the P1 pupils of St Leonard’s Primary school in Dunfermline. It was lovely to be met by children who were so enthusiastic about their reading and writing and answer all their amazing questions. 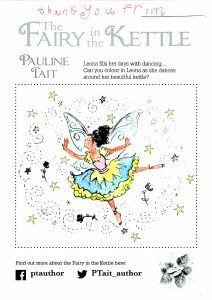 29th Jan 2018 – Just to let you know we are working away in the background and I will be able to share news on the publication of the second book in The Fairy In The Kettle series in the coming weeks. I am also working on something quite different, early stages at the moment, but as always I will share with you when I can! 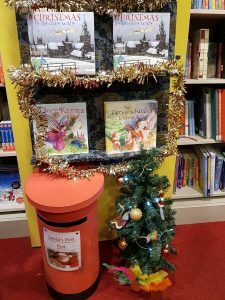 2nd Dec 2017 – I was invited back as part of Book Week Scotland. 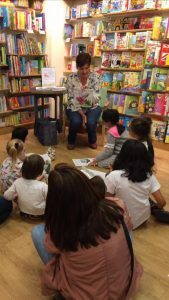 It was lovely to see everyone again and read my story to new Fairy fans. Being the start of the December the store was far too busy for pictures but great fun! 29th Nov 2017 – The topic this term for the P3 pupils of RDM was Enterprise. 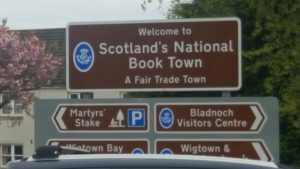 As it coincided with Book Week Scotland I was invited in to talk about life as an author and the business side of writing. The pupils were full of brilliant questions and great ideas. 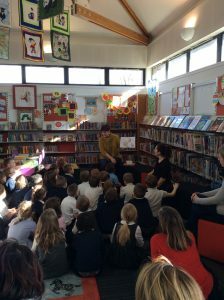 28th Nov 2017 – As part of Book Week Scotland I spent the day with the pupils from the Royal School of Dunkeld. 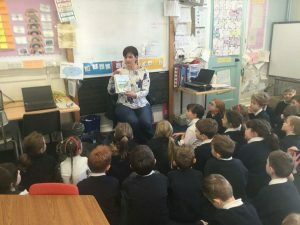 Great fun reading my story and chatting to nursery up to P2 before moving on to discuss writing structure, working with illustrators and publishers and the process of getting the book onto shelves with P3 to P7. 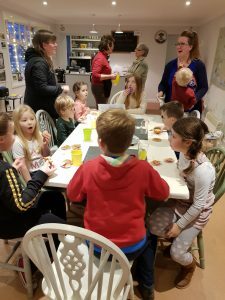 25th Nov 2017 – We had a lovely warm welcome today with lots of home baking and a log burner keeping us warm. 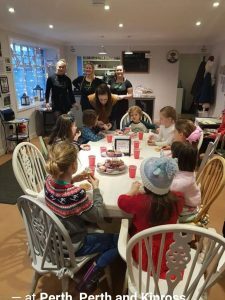 After reading my book, there was the ever popular fairy colouring sheets and wing decorating followed by juice and fairy cakes provided free of charge to every fairy fan by Karen, the Cafe’s owner. A lovely way to spend the afternoon! 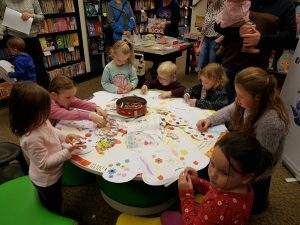 18th Nov 2017 – Great fun was had by all today as we took part in the Children’s Book Festival. After reading my book we enjoyed some Fairy colouring, Fairy wing decorating and letters to write to Santa. 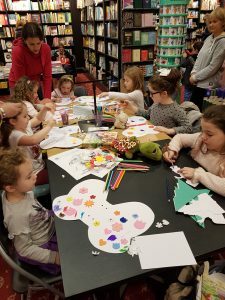 We even had salt dough Christmas decorations, made by the Waterstones staff themselves, to decorate. 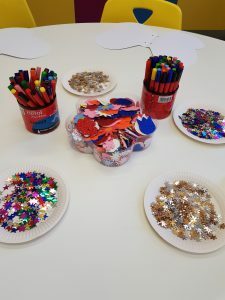 Lots of glittery fun! 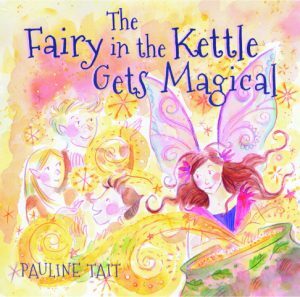 4th Oct 2017 – This mornings visit took me to Tollcross Primary School where I read The Fairy In The Kettle to the P1, P1/2 and P2 classes.Thank you all for your warm welcome and for asking all your brilliant questions. 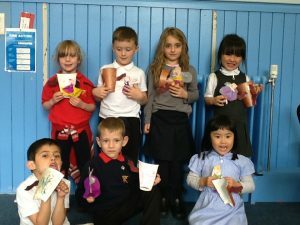 After I left the pupils of P1 set to work making their own Fairies and kettles and what a brilliant job they did too. I love how you can see the inside and outside of the kettles and such beautiful Fairies ….amazing! 25th Sep 2017 – I have pencilled in some quiet time over the next few months to work on the production of the second book and finish writing the third in The Fairy In The Kettle series. I have a few school visits planned over the next few weeks and am very much looking forward to Bookweek Scotland at the end of November, more details on all of these to follow. 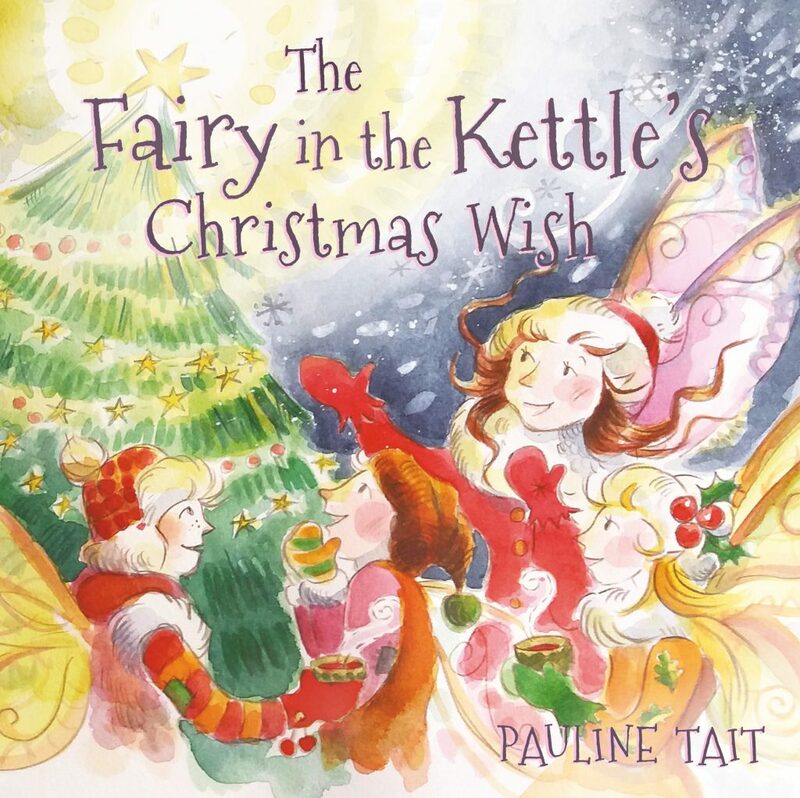 I am also looking forward to sharing some of the illustrations and front cover for the second book in this series, The Fairy in the Kettle’s Christmas Wish with you in the coming weeks. 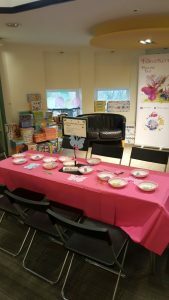 1st Aug 2017 – We took over Comrie Library this morning and enjoyed Fairy colouring and wing decorating after reading The Fairy In The Kettle. 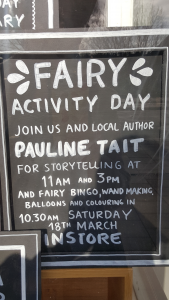 Thank you to everyone who came to join in the fun and to Comrie Library for asking me to be part of the festival. 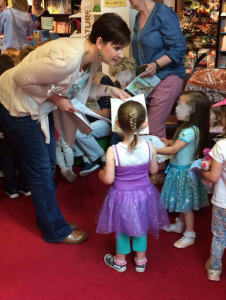 25th July 2017 – Great fun at Waterstones Stirling today reading my book to lots of Fairy fans. 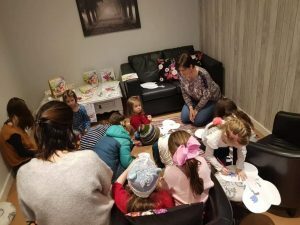 Fairy colouring and tiara making afterwards went down a treat! As always, many thanks to everyone who came along. 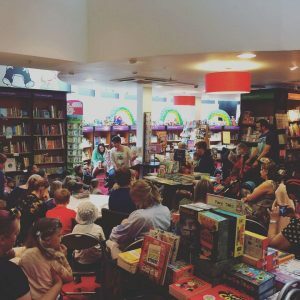 5th July 2017 – Absolutely fantastic event in Inverness! An amazing turnout and can’t thank the staff enough for all their on the spot organising! Many thanks to all those who came along on the day, hope they all enjoyed it as much as I did. 1st July 2017 – Had a brilliant turnout in Oban, thank you to everyone who came along and to the Waterstones staff for their welcome and enthusiasm. 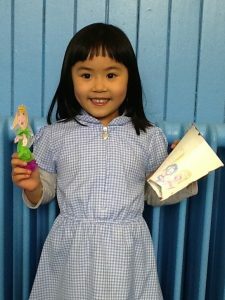 Loved your Fairy village! 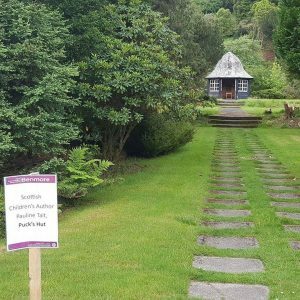 28th May 2017 – I read my book throughout the afternoon in the enchanting Puck’s Hut at Benmore Botanical Garden. 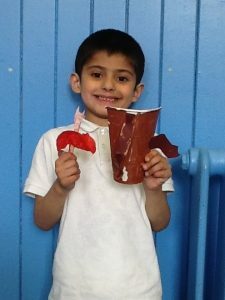 After hearing my story the children had great fun fairy colouring and making their very own set of fairy wings. An absolutely brilliant afternoon in stunning surroundings. 20th May 2017 – A huge thank you to the staff in Aberdeen for a brilliant event and to everyone who came along. 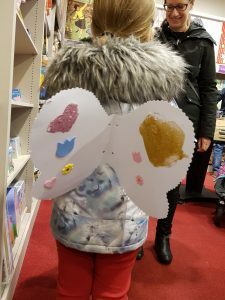 We had a lot of fun with the activities including the very popular make your own Fairy wings which could be seen around the store! 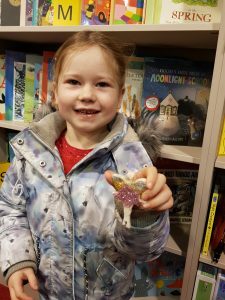 6th May 2017 – Some Fairy magic was sprinkled in the Dunfermline store on Saturday! 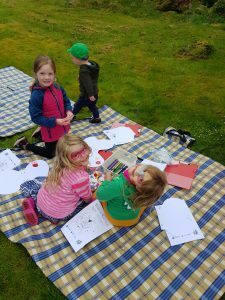 Story time was followed by Fairy colouring, Fairy decorating, Fairy Treasure Hunt and we even had some Fairy cakes! It was lovely to see so many Fairy wings and Fairy dresses too. 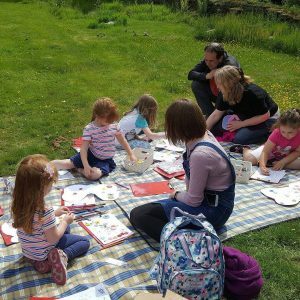 29th Apr 2017 – Wigtown Spring Book Weekend! 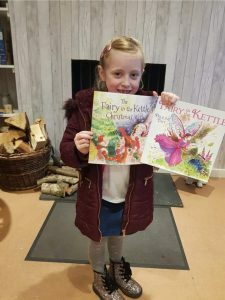 Had a great time in Curly Tale Books during the Wigtown Spring Book Weekend reading The Fairy In The Kettle and showing off some of the early illustrations from book two! 26th Apr 2017 – Massive thank you to the staff and pupils of Errol Primary School. It was great to visit the Nursery, P1, P2 and P3 classes who got to use their lovely new library space for the first time today! Lots of brilliant questions asked and definitely some aspiring young writers in the audience. Had a very busy week visiting Strathearn Library in Crieff, Scone Library, Loch Leven & Kinross Library and AK Bell Library in Perth. 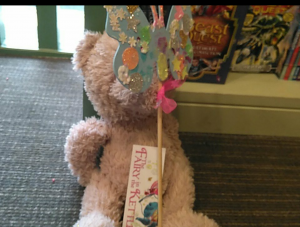 There were some lovely Fairy costumes on show and after reading my story the children enjoyed Fairy hunts, colouring and activities. 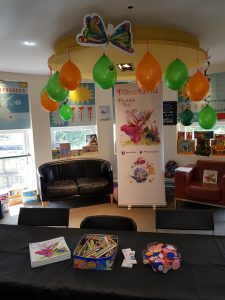 Our Fairy Activity day was very busy and a great success with book readings, wand making, Fairy bingo where we had two lucky winners and lots of Fairy colouring which was enjoyed by some of the adults as much as the children! Many thanks to the brilliant staff who went all out for an amazing Fairy day and thank you to everyone who came along and joined in the fun. A lovely picture of a finished wand below. 14th Mar 2017 – Moredun Library with the pupils of Craigour Primary School in Edinburgh was today’s visit. Great to see such enthusiastic little readers. 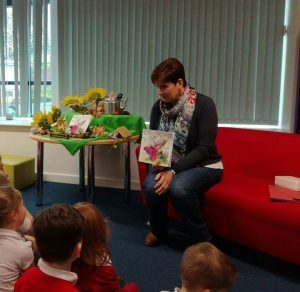 10th Mar 2017 – I had a lovely morning with the P1 pupils at Glenearn Community Campus in Perth today who asked lots of brilliant questions. 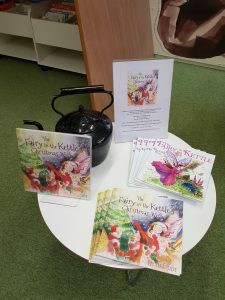 They had a lovely spot all set up in the library for me with a gorgeous fairy display with their own fairy in a kettle! 8th Mar 2017 – It has been a long time since I was last in Glendelvine Primary School but it was really nice to return today and read my book. We had two great sessions, P1-3 asked lots brilliant questions and we had a chat about writing a book and getting an illustrator. P4-7 asked lots of fantastic questions about how to decide on an opener and structure their stories. We had a great chat about getting a book out and onto the shelves. I am looking forward to visiting them in a few weeks to read their finished stories. 6th Mar 2017 – I was really lucky and had the chance to read my book to some of the pupils at Fairview School in Perth today. It was lovely to see you all and I hope you enjoyed it as much as I did….I even got to bring a wee momento home with me…..
4th Mar 2017 – Waterstone’s Perth event. 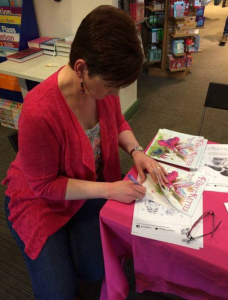 I had a great morning reading to children in Waterstones in Perth today followed by some fairy colouring. Thank you so much to the staff for being to welcoming and enthusiastic and to everyone for braving our very Scottish weather this morning! 2nd Mar 2017 – WORLD BOOK DAY. I was lucky enough to spend today with the pupils of Burrelton Primary School in the morning and Craigie Primary School in the afternoon. It was great to see so many pupils and staff dressed up as their favourite characters from their favourite books. Thank you for letting me spend World Book Day with you all. 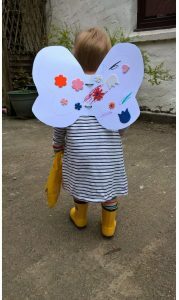 A little fan who dressed up as her favourite character, Leona Rose, for World Book Day at nursery. Absolutely gorgeous, I love your outfit and thank you so much for sending me the picture and letting me use it here! 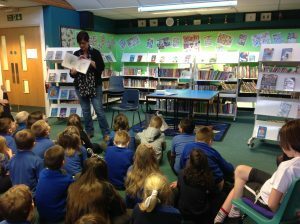 1st Mar 2017 – I was lucky enough to be invited back to Auchtergaven Primary School in Bankfoot, by their P6/7 pupils, as part of their WORLD BOOK WEEK activities. Thank you for having me back. 2nd Feb 2017 – Another great school visit yesterday, this time I was at Auchtergaven Primary School in Bankfoot. Great questions, we covered everything from writing a story to it arriving on a shelf. Thank you all for a lovely morning. 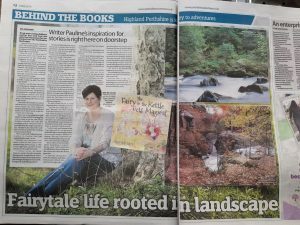 7th Dec 2016 – Thank you Perthshire Advertiser for your piece in the PA today. 29th Nov 2016 – I spent this morning with some very creative, young aspiring writers. Blair Atholl Primary School and Logierait Primary School thank you all very much. I had great fun and loved all your ideas. 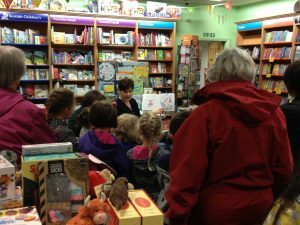 25th Nov 2016 – I have had a very busy Book Week Scotland. Thank you to the staff and pupils at Pitlochry Primary School, Eastern Primary School in Broughty Ferry, Newhill Primary School in Blairgowrie and Murthly Primary School. I was made so welcome by you all and a special thank you to all the pupils for all of your brilliant questions. 18th Nov 2016 – Lots of people who have bought my book, either from me directly or at an event, have told me “just to keep” the 1p change and I have said that I would donate it to charity at the end of the year. Today I have put all those pennies towards a donation to Quarriers to give a young person a gift this Christmas. They will receive a box filled with gifts that they really need. 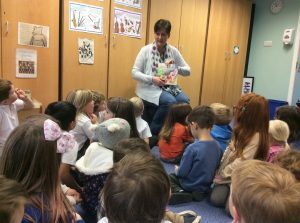 26th Oct 2016 – I had a brilliant day reading my book to the nursery children and pupils at Royal School of Dunkeld. It was great to see everyone again and answer all of your amazing questions. Hope to see you all again soon. 7th October 2016 – Thank you for sending me this lovely picture. 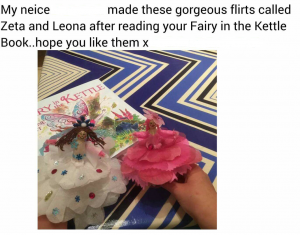 After reading my book a young Leona fan decided to make her own fairies. She has made Leona and then invented a fairy of her very own…Zeta. Love them!